Six-Month Smiles is an orthodontic treatment that does utilize bracket and wires, but in a whole new way that provides better efficiency and discretion. Instead of using metal braces, Six-Month Smiles uses brackets and wires that are clear and blend seamlessly with your smile. It also focuses on your sight line, which is your front six teeth and the ones you show most when you smile. Because treatment is very specific, it can typically be completed in a few months rather than years, hence the name Six-Month Smiles. Is Six-Month Smiles Right for Me? Six-Month Smiles works well for adults with slight misalignment issues, or who may have had previous orthodontic treatment. It moves your teeth quickly and provides the discretion that adult patients appreciate. 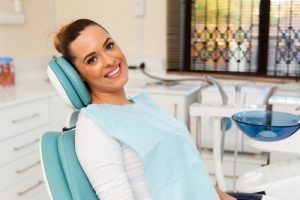 If you would like to learn more about Six-Month Smiles and determine if it is the right treatment for your needs, the first place to start is a consultation with your dentist. They can help you decide if this treatment will help you reach your goals, and let you know exactly how long it will take to restore your smile. If you decide not to move forward with Six-Month Smiles, you may be surprised to learn there are other cosmetic treatments that can help you achieve the smile you’ve always wanted. So don’t hesitate to contact your dentist in Jacksonville today to schedule your consultation. Dr. Jignesh Patel and his team bring comfortable and high-quality dental care to patients in Jacksonville, FL. He provides a wide range of services to meet each patient’s unique needs, including services like Six-Month Smiles and Invisalign. If you would like to contact the Dental Center of Jacksonville, we can be reached by calling 904-262-9466 or through our website.